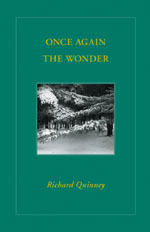 In the course of a decade at century's end, Richard Quinney kept close watch and recorded in his journal the events of daily living. Any sense of the universal and the extraordinary was necessarily grounded in ordinary experience. The author lived in a prairie town in northern Illinois, within easy driving distance of his family farm, as he made the observations and wrote the personal essays that make up this book. Experiencing the sublime in everyday life is in the long tradition of the romantic poets, transcendental writers, and landscape painters, and all who remain close to the natural world. "Grace," as Georges Bernanos has the country priest write in a diary, "is everywhere." This everyday life of ours, as Henri Lefebvre noted, is "the most universal and the most unique condition." Although we live in an historical era in which all aspects of everyday life are mediated by larger events and structures, everyday life is the source of both personal and social transformation. The lived experience—shared with others—is our social reality. And it is the only significant reality we can know in the living of this ordinary life.